Orlando is always a fun place to visit with kids but what happens when they’re that little bit younger? 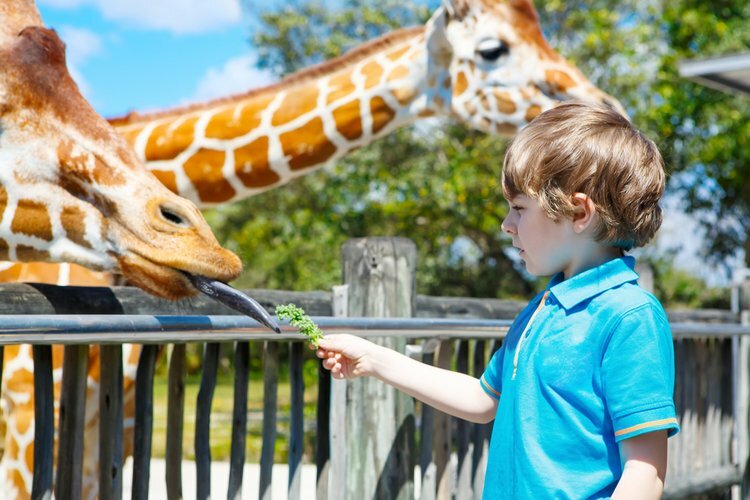 From theme park rides and character dining to parks, playgrounds and petting zoos, you’ll find oodles of fun things to do in Orlando with toddlers. 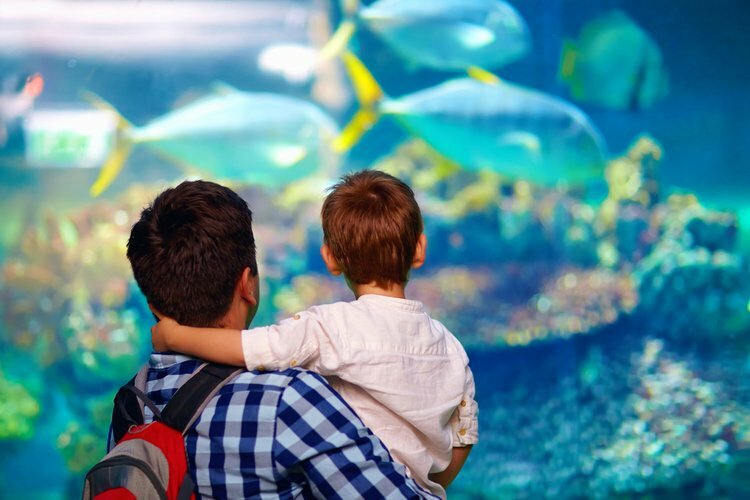 Whether you live in Orlando or you’re visiting on vacation this guide will help you help you find the best toddler-friendly adventures, including helpful tips and advice on how to make the most of your trip. The Orlando Museum of Art showcases an array of colorful artworks and also runs engaging family workshops. 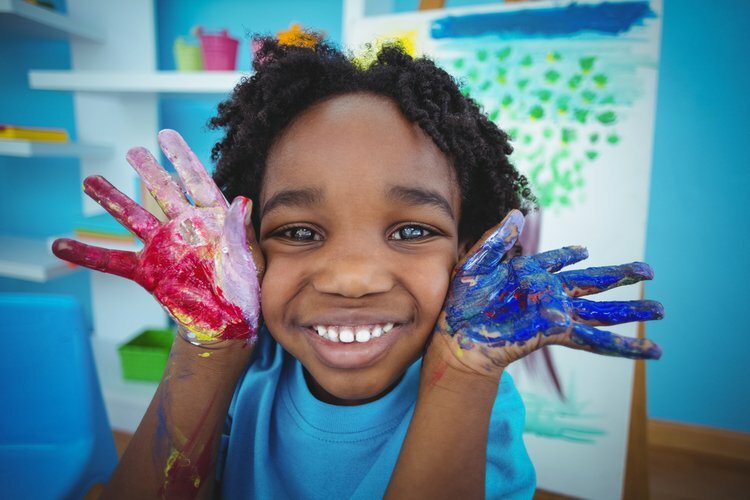 Art Adventures is for pre-school children aged 3 – 5 and will teach your little one about colors, textures, painting and messy play. It takes place on select Fridays and is run by a well-known local artist and teacher. Sealife Orlando runs a fun weekly program aimed at teaching toddlers more about the world beneath our oceans. Toddler Time takes place every Tuesday from 9.30am and features interactive seminars, sea-themed stories, toddler sing-alongs, animal feeding and admission to the main Sealife Orlando Aquarium. Best of all, it’s free for kids aged 2 and under. A great alternative to Orlando’s mainstream theme parks, Gatorland offers alligator-inspired fun for all the family. There are thousands of alligators and crocodiles to see, plus an aviary, a petting zoo, a breeding marsh and one-of-a kind shows including the Gator’ Wrestlin’ Show, Gator Jumparoo and the Up-Close Encounters show. Visitors of all ages can take a ride on the Screamin- Gator Zipline, ride the Gatorland Express Train and have a splashing time at the Gator Gulley Splash Park. Don’t miss the White Gator Swamp where you can spot four of the world’s largest white leucistic alligators each measuring ten to twelve feet in length and weighing over 800 pounds. No list of things to do in Orlando with toddlers would be complete without a visit to Monkey Joe’s Playground. 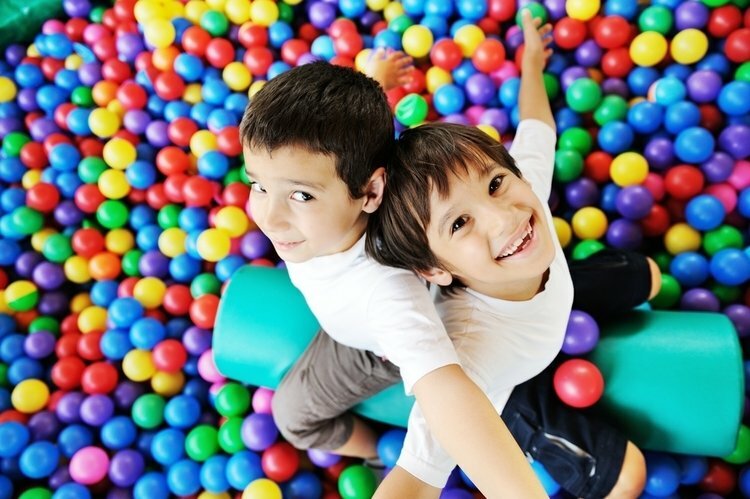 This sprawling indoor play gym is aimed at families with kids aged 12 and under and features inflatable slides, exciting climbing walls, fun obstacle courses and popular arcade games. 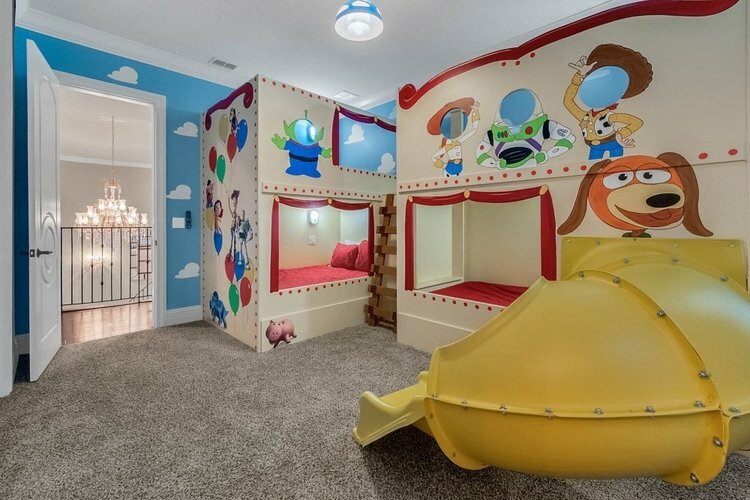 Located at Point Orlando just moments from I-4 the venue is open 7 days a week and accepts walk-in guests who can stay and play all day – perfect for rainy days. There’s also a cafe, a shop and plenty of seating for adults to sit and supervise their little ones. Is your toddler a big fan of animals? Then make sure you’ve got Central Florida Zoo on your bucket-list. Families can enjoy close encounters with animals from all over the world including some of the rarest and most endangered species on the planet. You’ll also enjoy Keeper Chats happening daily throughout the zoo, a fun splash park for the little ones and a unique zip-lining adventure, all just steps away from the animal enclosures. Other highlights are giraffe feeding, special close-up encounters and fun attractions like face painting and animal-themed rides. Toddlers may be too small for Disney’s thrill rides however the parks cater very well for little ones. Of all the Disney parks, Magic Kingdom has the most toddler-friendly attractions with only 6 rides in the whole park having a height requirement. Ride wise, the most popular choices for toddlers are things like Dumbo the Flying Elephant, the Mad Tea Party and the Adventures of Winnie the Pooh. These colorful rides all offer calm but fun thrills as well as sing-along songs and fun areas for kids to play whilst queueing. Other great rides for toddlers are the Small World boat ride, Frozen Ever After and the Prince Charming Regal Carousel. 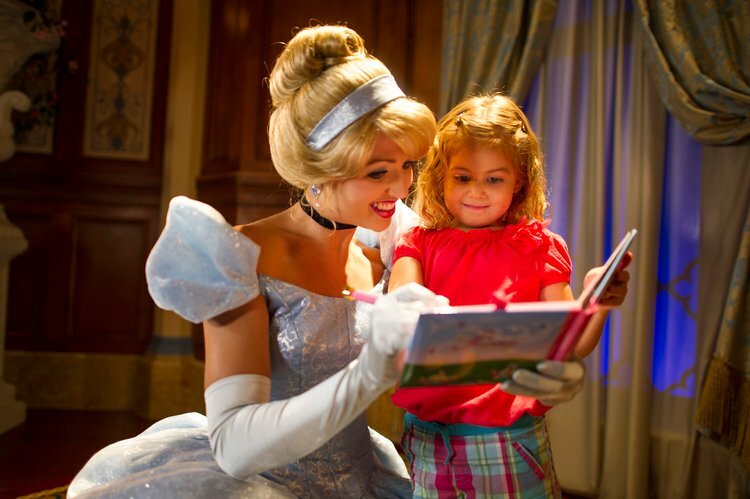 Your little ones can also marvel at the park’s iconic Cinderella Castle and meet Mickey, Minnie, Donald, Goofy and all of all their favorite princesses, too. Along with the rides you’ll find colorful parades, fun-packed shows and wow-factor fireworks. Orlando is home to some of the world’s best water parks and all of them have lots of toddler-friendly attractions. Aquatica is one of the best water parks to visit if you’ve got toddlers in tow; not only are there lifeguards everywhere but they require all kids to wear life jackets which are free of charge to hire. 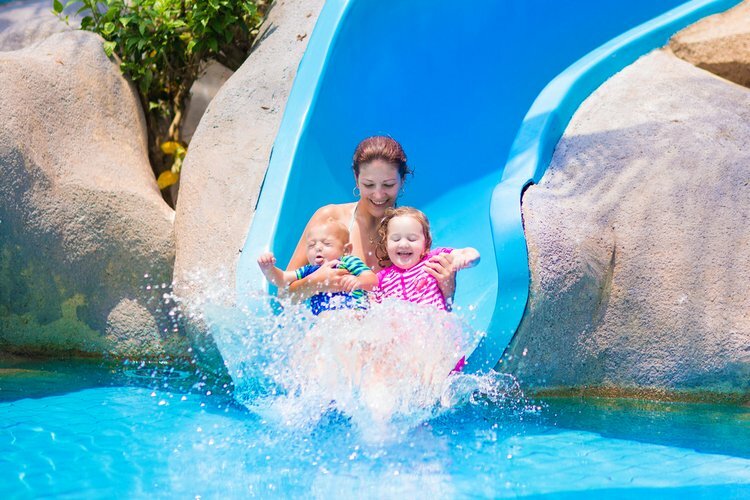 Aquatica’s Walkabout Waters and Kookaburra Cove zones are specifically designed for families with younger children – the water depth is very shallow and the children must be under 48″ tall to play there. You can also take baby food, formula, bottled water and small snacks into the park. Take your toddlers along to discover the magic of color at the Crayola Experience in The Florida Mall. Kids can learn how crayons are made, sculpt their own colorful creations and watch as their digital art comes to life on huge interactive walls. Other fun activities include crayon melting stations, the two-storey Color Playground and the world’s largest crayon. While visiting you can shop from a huge selection of Crayola products, discover one-of-a-kind souvenirs and make your own crayon collection. 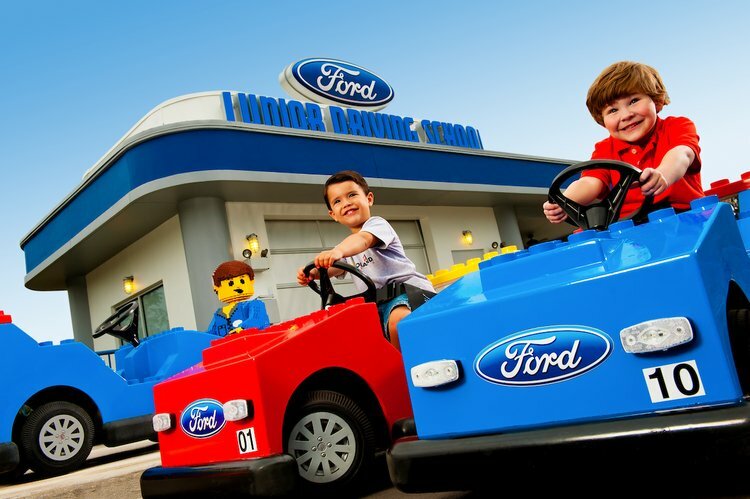 Located at Legoland in Winter Haven, Duplo Valley is the place to go for tiny tots. They can explore the countryside on a Duplo train, find missing farm animals on a Duplo tractor ride, cool off in the Splash & Play area or have a fun time in the Tot Spot and Farm Yard play areas. Duplo Valley also has a designated baby care center complete with a nursing area, bottle warming, changing zones and more. Another popular attraction at the park is the Junior Driving School where little ones can earn their own ‘driver’s license’ and ride around the pint-sized driving school course. At Universal Orlando Resort you’ll find heaps of play areas that are perfect for toddlers. At Universal Studios there are fun attractions like Barney’s Backyard, Curious George and Fievel’s Playland, while Islands of Adventure has dinosaur-themed Camp Jurassic and the Jurassic Park Discovery Center. You’ll also find Seuss Landing which features scenery, attractions and shows based on the beloved Dr Seuss book series. At both parks there’s live entertainment and chance encounters with Minions, Marvel heroes and many more kids’ favorites. There’s also the Volcano Bay water park who has sandy beaches, tranquil lagoons and plenty of dedicated toddler play areas. The Orlando Public Library offers free entry and hosts a variety of kids’ events including Tiny Tales, Toddler Time and other Early Learning sessions. 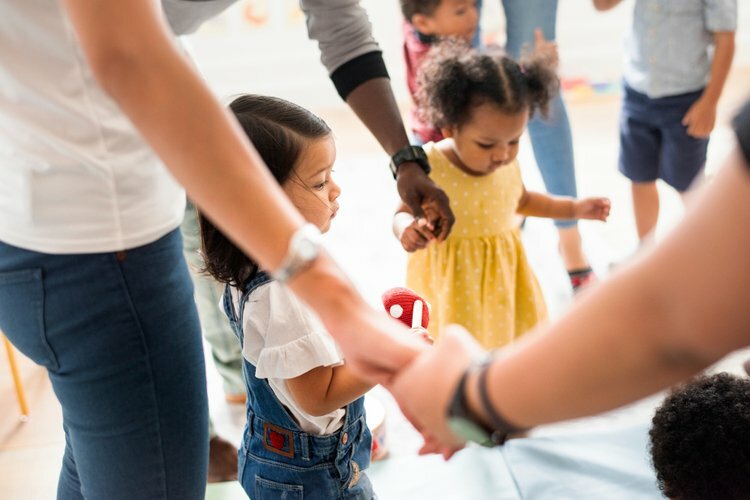 The classes are aimed at little ones aged from birth to 5 years old and feature nursery rhymes, interactive activities, singing, dancing and playing. The library also hosts special readings, arts and crafts, family movie nights, board games, and musical events. Toddlers will delight at the many animal encounters and live shows at Seaworld. One of the top attractions for toddlers at Seaworld’s Orlando theme park is the Dolphin Nursery which has a special viewing area where you are you children can watch mother and baby dolphins at play. Throughout the park you’ll find numerous other animal exhibits and mild rides. The park also has an unparalleled line-up of shows like Dolphin Days, Ocean Discovery, Elmo Rocks and Clyde and Seamore’s Sea Lion High. Head for a day out at Disney Springs for plenty of family friendly fun. This bustling waterside promenade is packed with toy shops, one-of-a-kind eateries and fun entertainment including live music and specialty acts. Little ones will love the Marketplace Carousel, the Water Taxi Tours and the Lego Imagination Center where they can custom build their own Lego figures for free. The beach will always be one of the best places to go with toddlers, and from Orlando it’s just a short drive to Florida’s Atlantic Coast. 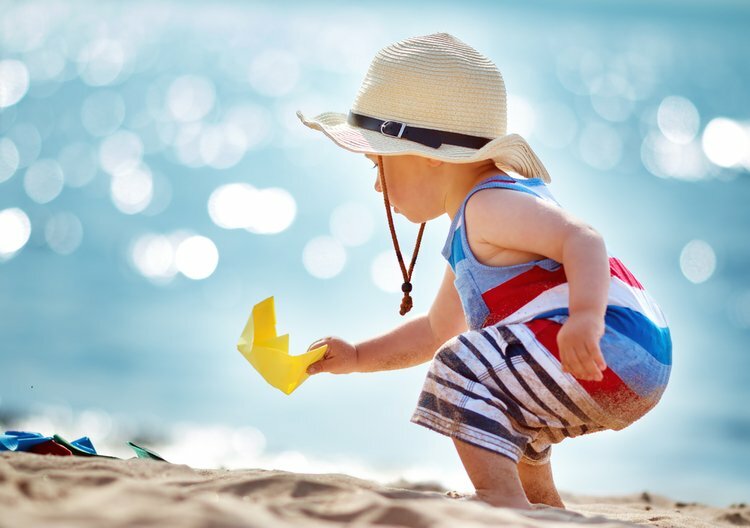 Popular options for families with toddlers are Cocoa Beach and Daytona Beach – both are just a one hour drive from Orlando and both have wide sandy bays, fun attractions and lots of family friendly cafes and restaurants. See more than 500 real animal skeletons displayed in over 40 exhibits at the Skeletons Museum of Osteology at Icon Orlando 360. 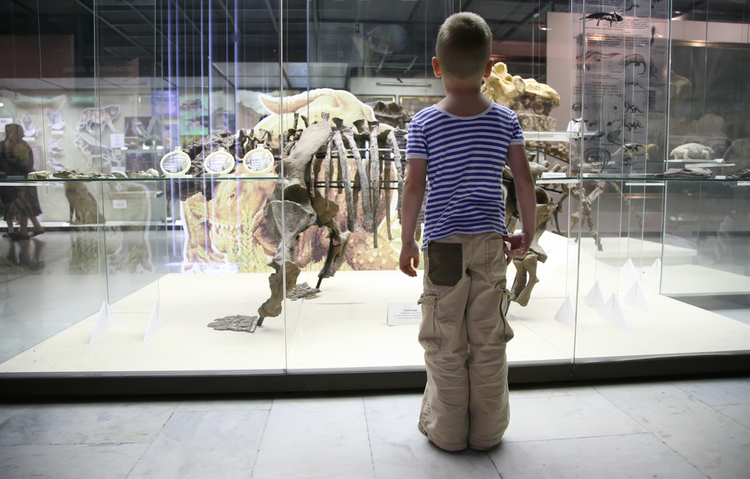 Toddlers will especially love Family Fun Days when they can get up close with live animals from local zoos, engage in hands-on activities, go on fun scavenger hunts and hold real animal skulls, bones and furs. Take you tiny tikes to Downtown’s Lake Eola Park and you can enjoy plenty of toddler friendly entertainment like feeding the swans, playing in the park or taking rides on the the huge lake in swan-shaped boats. The park also hosts many free concerts at its amphitheater, as well as a family friendly farmer’s marker every Sunday. Kids of all ages will love watching the world-famous mermaids of Weeki Wachee Springs. The Springs is the only place in all of Florida where you can see real-life mermaids swimming in a special underwater oasis. Visitors can also take a trip on a river boat cruise, learn about the local wildlife and have fun at action-packed Buccaneer Bay splash park. 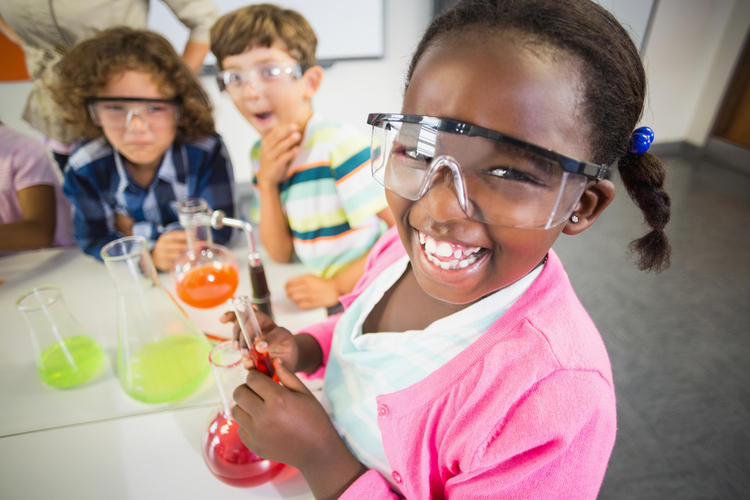 At the Orlando Science Center, toddlers and pre-schoolers can take part in hands-on workshops based on all kinds of fascinating science topics. Parents can go along with their toddler, or drop them off for an exciting morning of science-themed fun held in the Stem Discovery Center. Creepy Crawlies, Spooky Science and Dinosaur Roar are just a few of the classes you will find for kids aged 18 months to 5 years old. Little learners can also enjoy the huge Kids Town play zone and exciting themed birthday parties. The 50-acre Harry Leu Estate is not just a great place for family strolls, it also hosts a free storytelling event for kids aged 5 and under. Sponsored by Orange County Library the program comes to Leu Gardens every week with stories and songs for infants, toddlers and pre-schoolers. If you’re visiting Orlando with toddlers the following hints and tips are sure to help you make the most out of your trip. Remember toddlers go free: Kids aged 3 get free entry to most of Orlando’s theme parks, water parks and main attractions. 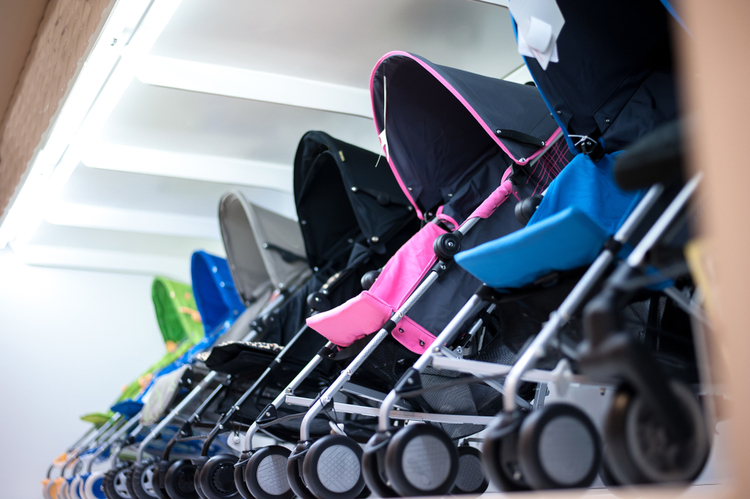 Rent a stroller: Don’t worry about packing your regular stroller, you can rent one at most of Orlando’s main theme parks. Some offer multi-day rentals and both single and double strollers. Use Fastpass+ and Rider Switch: At Disney World you can book your rides in advance to save on queueing time by using Fastpass+. With Rider Switch you can take turns waiting with youngsters or guests who are unable to ride. Use the lockers: Most theme parks offer locker rentals which are great for families who want to keep necessary items nearby without having to carry them around all day. Check ride requirements: Some theme park rides are much better suited to toddlers than others. You can check each ride’s age and height requirements at each park’s website before you go. Make the most of baby-care facilities: All attractions have baby-changing stations located in the restrooms. Some parks also offer special baby-care centers with expanded changing and feeding areas. 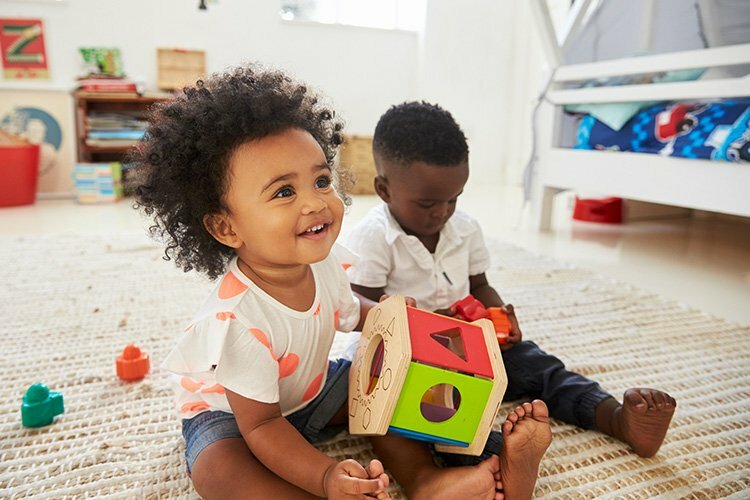 When travelling with toddlers you’ll want to be sure you’re staying somewhere that has all of the space, privacy and facilities you need for a safe and happy vacation. 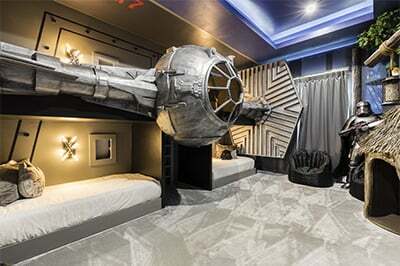 Our villas in Orlando come complete with pools, game rooms, home theaters and themed kids’ bedrooms. Families can also make the most of other perks like babysitting services, private tuition and personal chefs who will cater for everyone – even fussy eaters! What’s more, we’ll provide any extra kids’ equipment you need including cots, highchairs, pool fences, stair gates, strollers and more. Many of our vacation homes are situated in popular resorts just minutes from Disney World. You’ll enjoy access to excellent resort amenities such as water parks, golf courses, spas, kids’ clubs and restaurants. What’s more, you’ll benefit from a free shuttle service to the theme parks from some resorts in Orlando. 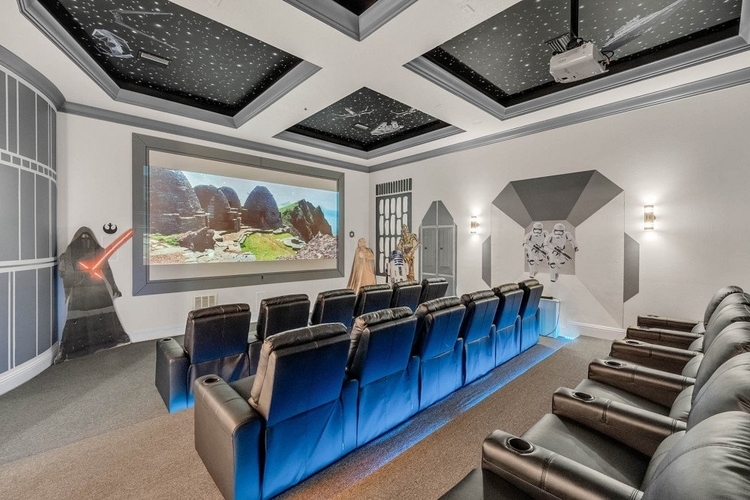 This amazing villa in Reunion Resort is a great choice for families with kids. It’s packed with exciting amenities like custom-built themed rooms, pool slides, play areas and state-of-the-art entertainment. The property offers enough space to sleep up to 36 guests so you could gather a few fellow families together and book a group stay. Tempted to book a family vacation? Book your Orlando vacation home with us and not only will you get beautiful accommodation at great prices, you’ll also benefit from amazing round-the-clock customer service and access to a wide range of travel extras such as car hire, attraction tickets or help with arranging a special experience.